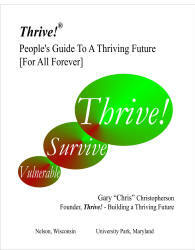 This People’s Guide To A Thriving Future, in both “Quick Guide” and “Complete Guide” versions, is provided to help you and your family and friends, community, country and world survive and thrive. 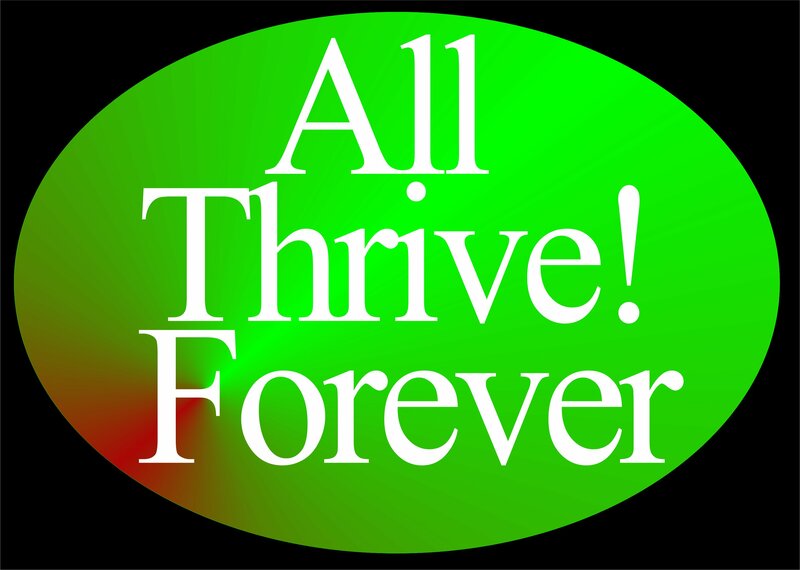 It shows how to build a thriving future using Thrive! Strategy and Action Plans. The “Quick Guide” quickly takes you through the basics of building this future. The “Complete Guide” takes you through the basics of building this future and provides detailed examples, required worksheets, and detailed Thrive! Next Generation Toolkit. Both are available via Amazon.com or as free download from this website [see below].